Just a little avocado a day can go a long way in eating a healthy diet without overeating. A whole avocado contains 250 calories and 23 grams of fat, most of which is healthy monounsatured fat, which can reduce bad cholesterol levels. It may even be helpful in regulating blood sugar levels, which has yet to be investigated. Any way you slice it, avocados can be healthy for you and boost your weight loss efforts. Try some in a healthy green salad or spruce up a boring sandwich with it and notice the difference. Become our next success story at WeightLossNYC™. No gimmicks or crash diets, just sound advice for healthy living. Give us a call at 718-491-5525 today. Dr. Aron can test your metabolism to see if it is slow. Fast, slow or so-so, your metabolism controls your weight loss. No matter how quickly your body burns calories, there are other factors involved. These are just some things that can slow down your metabolism, but the good news is you can easily control them. How much stress are you under? It could be the reason you can’t lose those last few nagging pounds. When your body’s under stress, it releases the hormone cortisol, which tells your body to hold onto weight. Try to avoid stressors as much as you can, while also seeking out ways in which you can manage your stress. If you don’t burn enough calories through exercise, then your unused calories turn into fat. Be sure to exercise a few times a week to control your weight. Also wear a pedometer or track how many calories you burn through your exercise so you can keep up with your progress. Eating too much? Not enough? You’re asking for trouble. Feed your body the fuel it needs to get through the day and keep your body at a healthy weight. Believe it or not, eating too little or skipping meals could lead to weight gain. Instead, nourish your body with healthy natural foods to stay in top shape. When you don’t rest enough, you can gain weight by disrupting your metabolic patterns. Sleeping an ideal amount of hours each night, however, can boost your metabolism. For adults, get between 7 and 9 hours of sleep each night. If you’re on any medications such as anti-depressants, they could cause you to gain weight as well. Discuss it with your doctor if you believe that’s the case and find out if there are other options that won’t lead to weight gain. Dr. Aron is able to test your metabolism to see if it is slow. Whether you have a slow metabolism or not, let Dr. Oksana Aron help you find your weight gain triggers and develop a structured plan for weight loss success. 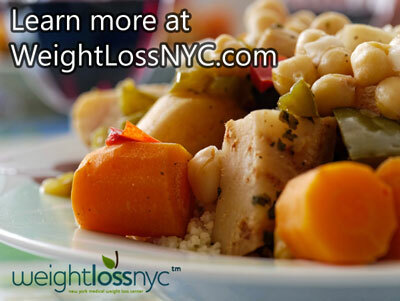 Please call us at 718-491-5525 and make your first appointment with WeightLossNYC™. We all know that sugar isn’t good for our health, waistline or teeth. But what we don't know about it—including where it’s coming from—can be even more important. Additionally, many contain genetically modified sugars (GMO) and are often unlabelled as such, yielding further obscurity. Consuming sugary drinks such as sodas and fruit drinks were once thought to be the main source of sugar in our diet, but the latest from the U.S. CDC shows that Americans are getting their sugar mainly from their food, not drinks. Without knowing this fact, many people may be unwittingly be consuming a lot more sugar than they think and are scratching their heads as to why they can’t lose those last few pounds. Here’s how sugar sneaks into your diet and how to prevent it. Where else is there sugar? Excess sugar can not only lead to weight gain, but you also have other health concerns to worry about. People who drink 1 to 2 cans of soda a day can increase their risk for Type 2 diabetes by 26%. Additionally, daily sugary drinks can also increase your risk of heart attack, death from heart attack and heart disease. When checking the ingredients list on food packaging, make sure that sugar or its other names (such as high-fructose corn syrup HFCS or corn syrup, etc.) isn’t one of the first few ingredients. That way you’ll know that the food isn’t mostly sugar. Lose the weight to reveal a healthier body. Stay motivated and keep the weight off with a healthy weight loss plan. Call 718-491-5525 to schedule your consultation with Oksana Aron, M.D., Bariatric Physician at WeightLossNYC™. “Contrave is a combination of two FDA-approved drugs, naltrexone and bupropion, in an extended-release formulation. Naltrexone is approved to treat alcohol and opioid dependence. Bupropion is approved to treat depression and seasonal affective disorder and as an aid to smoking cessation treatment. Like similar treatments, medical supervision is highly advised, as part of a comprehensive program of proper diet and exercise. The unique combination of this new medication also underscores compatibility with the current state of health and fitness for any individual. Similarly, an FDA panel greenlighted Saxena® (liraglutide) as another effective candidate for medical weight loss treatment. Whereas most weight loss medications address hunger mechanisms, each approach offers a different biological or neurological pathway, providing alternative options for practitioners and patients to optimize for individual results. Ask Dr. Aron which is the best treatment option for you. See also Questions about Weight Loss Medications? Is losing weight your number one goal? Setting a goal is great, but let's break it down into actionable steps so you can start seeing progress right away. Today’s weight loss tip is so simple, yet most people don’t even consider it when trying to shed pounds. It’s one thing we can’t live without: sleep. A study published in the Wall Street Journal in 2012 found that inadequate sleep triggered increased levels of ghrelin, the hormone that causes hunger, in men. 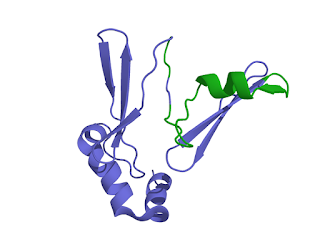 In women, it can lower their levels of the hormone GLP-1, which suppresses appetite. If you haven’t been getting enough shut eye (around 6-8 hours for adults), let’s change that. You’ll not only improve your weight loss success, you’ll also improve your quality of life and even live longer than those who are sleep deprived. Tip: Be sure to shut off your computers, cell phones and TV at least one hour before bedtime to drift off to sleep easily. If there’s one simple step to take right now to lose weight, sleeping enough is it. Try it and watch how quickly things will change! Is it time for a change? Take the first step by calling us at 718-491-5525 to set your first appointment with Dr. Aron of WeightLossNYC. We’re here to help you every step of the way to your healthiest weight ever. Ask the Doctor: Is Saturated Fat Bad for You? Are you trying to eat right? You're probably overwhelmed with dieting tips and information--some good and some downright incorrect. Just when you thought you knew what you were doing, another new study comes out and changes everything. Doctors and dieting gurus have been harping on staying away from saturated fats, but the latest news challenges all that. Surprisingly, new evidence from a study published in the Annals of Internal Medicine questions popular advice to cut out saturated fats and to eat polyunsaturated fats to prevent heart disease (and weight gain). In the University of Cambridge study, researchers found no evidence supporting dietary guidelines of avoiding saturated fats to reduce heart disease risk. They also found that omega-3 and omega-6 fatty acid supplements didn't have any significant effect on reducing cardiovascular disease either. Rather than focusing on macronutrients, we should consider the food groups our meals are based on. So, what do you do now? Should you start eating saturated fats with abandon? Not exactly. Until further research proves saturated fats are completely harmless, the secret to staying healthy, losing weight and lessening your chances of heart disease is still the same advice: eat a healthy diet, stay active and don’t smoke. Want to fit into that little black dress or slimmer wedding gown? You can start making progress on your weight loss today. Call WeightLossNYC at 718-491-5525 and make your first appointment with Dr Aron, Bariatric Physician. Over recent years many people have been reaching for artificial sweeteners, thinking that it’s healthier than the real thing. It turns out that your tastebuds don’t know the difference between sugar and sweetener — but your brain does. A new study out of the Netherlands used functional magnetic resonance imaging (fMRI) to measure brain responses in people sipping two different orangeade drinks — one mixed with sugar and another mixed with four artificial sweeteners (aspartame, acesulfame K, cyclamate and saccharin). The sugar and sweeteners were found to stimulate the amygdala, which is the part of the brain that detects pleasure. Only the sugared drink stimulated the caudate in the brain, showing that the human brain can tell the difference between a caloric drink and a noncaloric one. They can activate parts of the brain that create appetite, but do not satiate it. Increased appetite has been found to occur in people who don’t consume artificially sweetened beverages often. People who drink artificially sweetened beverages regularly tend to weigh more than those who don’t. For those who consume a lot of artificially sweetened beverages, however, their brains, can become used to the sweeteners and may not necessarily cause them to eat more. 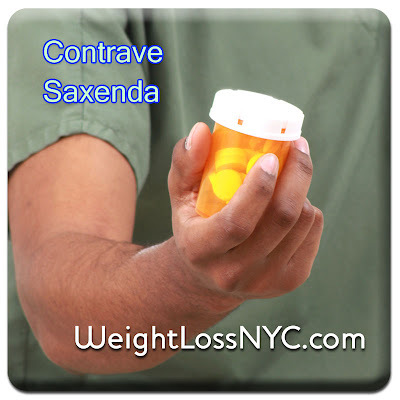 Visit WeightLossNYC.com to learn more about medical weight loss and how you can lose weight fast under physician supervision. Dr. Aron is a leading bariatric physician in Brooklyn. 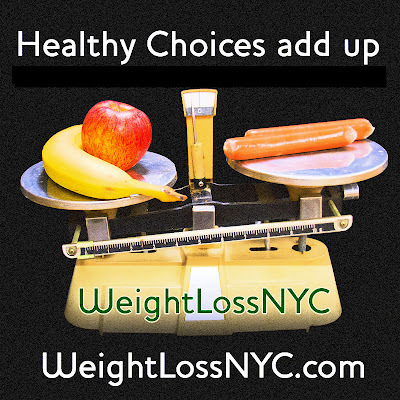 Listen to Cynthia tell you in her own words her experience with Weight Loss NYC. When you sit down to eat, do you savor it slowly or do you gobble it up in record time? Did you know that eating quickly can make you gain weight because your body hasn't registered how full your stomach really is? Well, that's not the only news. Taking your time to eat can help prevent you from overeating, but there's a difference in how this affects your body, depending on whether you're considered normal weight, overweight or obese. Read on for more details. Eating quickly can make you gain weight because your body hasn't registered how full your stomach is. Taking your time to eat can help prevent you from overeating, but how this affects your body depends on whether you're considered normal weight, overweight or obese. In the study published by the Journal of the Academy of Nutrition and Dietetics, two groups were observed: one group of normal-weight individuals and another of overweight and obese individuals. Both groups were asked to consume two meals, one at a slow pace with no time constraints in mind in which they were asked to stop and put the spoon down in between bites, and a second one at a fast speed with an imagined time constraint, large bites and quick chewing without putting the spoon down for breaks. Both the normal-weight and overweight groups were less hungry after eating the slower meal. They also tended to drink more water, which could have affected the amount of calories they consumed. Ask the Doctor: Can your friends make you fat? Friends can be very influential in the way we dress, speak and even eat. So does that mean who we hang around with can make us fat? Obese, even? Researchers decided to look into this to see if that's the case. When people know that others in the group are eating low-calorie food, it makes them more likely to want to eat the same, the data said. The same went for high-calorie food. People also ate similar quantities of food just to fit in. When eating in group settings, people tend to eat like their friends do, whether it's healthy or not. Eating is a social behavior and we can use it for good. When dining out or having friends over for a dinner party, set a healthy trend. Select healthier options on the menu and opt to split a large dish to cut calories. Serve a nutritious spread of fruits, veggies and smaller-portioned foods at your next party. Overeating and making the wrong food choices can make you gain weight, so it's especially important to mind what you eat when in the company of friends. Be the one to make the first move! Whether it's 10 or 20 pounds or more, Dr. Aron is here to listen and help. Read more about her medical weight loss program in New York. While overeating and under-exercising in general is one sure-fire way to pack on the pounds, if you experience a minor slip-up, you can stay on track as long as you keep up with your exercise. Both exercise and diet are critical to your success, but it’s good to know you don't always have to be perfect. Here are a few ideas for staying active and losing weight this winter season. Whether it’s hanukkah or halloween, superbowl sunday or super-love valentine’s day, temptations always exist. Indulge in a few too many latkes? Swipe a couple extra frosting-and-sprinkled sugar cookies? Drank a little more eggnog than you’d care to admit? Celebrating the holidays doesn’t have to derail your new year weight loss resolution. A recent study published in the Journal of Physiology found that if you continue to exercise daily —even in short bursts— then your few extra nibbles won’t do much harm. In a Bath University week-long study of 26 healthy young men, all were asked to overeat. The non-exercising group ate 50% more calories, while the exercising group overate by 75%. Looking to improve your health and need some guidance? Dr. Oksana Aron of WeightLossNYC™ is here to help you reach your healthy weight loss goals. Give us a call at 718-491-5525 for your initial consultation. Make this year your year to shine. Her clinic specializes in treatment of obesity, overweight persons, who have struggled to lose weight via other methods and are seeking medical help. New Office Hours make it easier for you to come in before or after work, whether you're here in Brooklyn or traveling from Manhattan, Bronx, Staten Island or beyond. Follow Dr. Aron on twitter @weightlossnyc or interact with us online for more weight loss tips, motivation and health care news. We're here during the holiday weekend to keep you strong in reaching your healthy weight goals. There’s a lot more science to how much we eat than we think. According to a new study called “Plate Size and Color Suggestibility” published in the Journal of Consumer Research, the color of your plate affects how much food you eat. When there is a low contrast of color between your plate and food, you will serve yourself and eat more food—as much as 22 percent more—than when there's a high contrast of color between your plate and food. Over time, this can cause extra pounds and an expanded waistline. The study also found that reducing the contrast of color between your dinnerware and background (tablecloth, place mat) can reduce over-serving by up to 10 percent. Takeaway: Don't just vary the color of healthy foods such as veggies and fruits on your plate--also work on dining with plates in a sharp contrast to what you're eating so you pay more attention to portions. Choosing a dining "background" with a low contrast to your plate will enhance the effect. Another tip: Serve on small plates for smaller portions. The larger the plate, the larger the portions! Maintaining a healthy weight and/or losing unhealthy weight is a science. What does it all boil down to? Calories, plain and simple. You don’t have to obsessively count every single calorie, but here’s some food for thought if you want to lose weight or simply want to maintain it. To lose weight, you need to consume less calories than the ones you burn (via exercise or typical daily activities). To maintain your weight, you just need to consume the exact number of calories that you need and burn daily. Make sure you’re filling up on healthy calories and not junk food. Need help coming up with a healthy diet program you can actually stick to? Dr. Aron counsels her patients to be aware of ways they may be tempted to eat when actual hunger or mealtime isn’t the way. Some of her popular weight loss tips including drinking water to see if you’ really hungry. “Thirst often masks itself as hunger,‘ remarks Dr. Aron. “Drink water to see if you’re really hungry. Antoinette tells you what she loves about Dr. Aron and her weight loss program. List adapted from yahoo news. Who Are Your (Super) Heroes? Perhaps the hardest part of staying on your weight loss program is having everyone around you be on your team. One patient recently intimated, overtime staff hours were plenished with a tray of junk food to boost morale and sagging energy levels -- the exact opposite of what she needed to keep strong in her weight loss resolve. Getting your friends and family behind you is one thing, getting the rest of the world on your side is another. Let coworkers know your intentions: "Don't give me that donut. Don't even ask me…"
Bring your own life saver to office functions -- pack a safety healthy snack to keep you away from temptation at office party trays. Don't go anywhere you don't need to be. After hours pub time is great social fun, but even one drink is gonna bust your diet ego. If you can't keep it to water and lemon, say, then suggest other plans or make sure you'll be with people who won't press you to consume disaster calories. For more diet, motivation and weight loss tips, keep up with Dr. Aron on twitter, facebook, or google plus pages. Do you know what's on your child's lunch tray at school? Parents in recent years have been surprised to find pizza sauce being counted as a vegetable and junk food masquerading as a healthy snack, but change is starting to happen. The National School Lunch Program was started 65 years ago to make sure children are nourished and can get through the school day on a full stomach. While the program now serves 30 million children nationwide at a low or no cost, it's also become increasingly criticized for the quality of foods offered and is being partially blamed for the rise in childhood obesity, especially in low-income children. In 2012, the USDA called for more nutritious ingredients in school lunches, including more fruits, vegetables, low-fat milk and whole grains. It also urged limits on trans fats and high-calorie foods. Parents in some states have pushed for laws requiring healthier school meals and more stringent nutritional standards—and it's making a difference. Children in schools with more stringent nutritional standards had a healthier weight status. The rates of obesity were much lower in states that exceeded the USDA nutritional requirements. Rates of obesity were doubled among students who ate reduced and free school lunches (26%) compared to students who didn't eat school lunches (13%). If you're unhappy with what your school is offering, speak up! You never know what kind of change you can make until you try. You can also pack a healthy, nutritious bag lunch for your child if the school lunches provided don't meet your personal standards for your child. Start losing weight today! If you struggle with weight loss, don't hesitate to contact us at 718-491-5525. Make an appointment with weight loss expert Dr. Aron, who can help you lose up to 10 to 20 lbs or more each month. A healthier family starts with a healthier You!